September 9th is just around the corner! As we approach the primary, now’s a great time to look back at everything that’s happened in the past few months. Here’s a selection of important landmarks in the campaign so far! 1. Martha’s video for the Democratic Convention in June highlights the great work she’s done as Attorney General and the even better work she’ll do as Governor. 2. 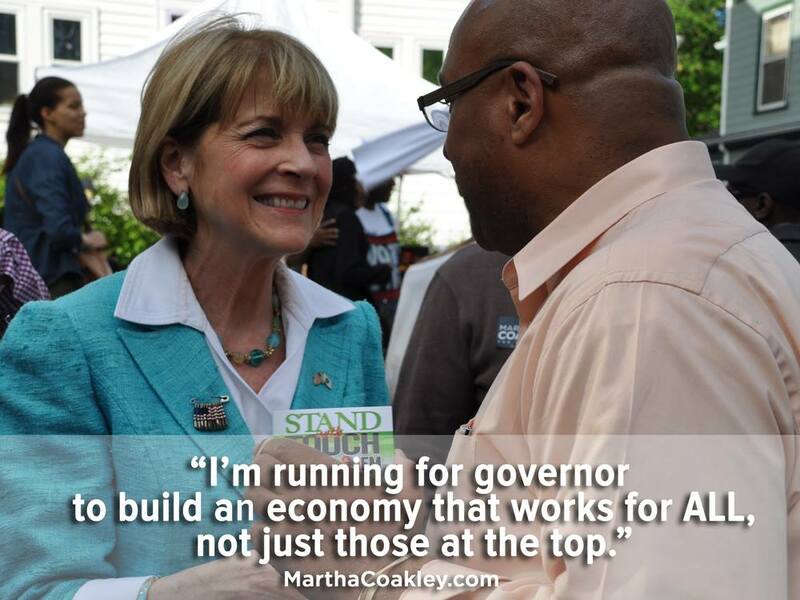 Building an economy On Our Terms, Martha embarked on a tour across the state to discuss with people around the Commonwealth how we build an economy that lifts up working families and leaves no one behind. 3. The healthcare workers of 1199SEIU chose to endorse Martha based on her longstanding leadership on key issues such as lowering healthcare costs, improving jobs and training in the healthcare sector, creating a more fair economy by raising the minimum wage, and providing paid sick time for all workers. 4. 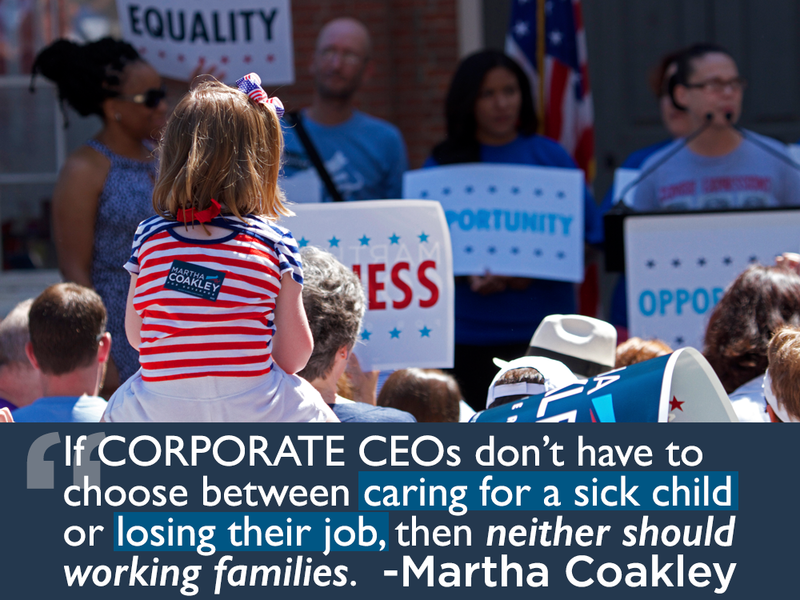 The issue of earned sick time is vitally important to workers all across Massachusetts. 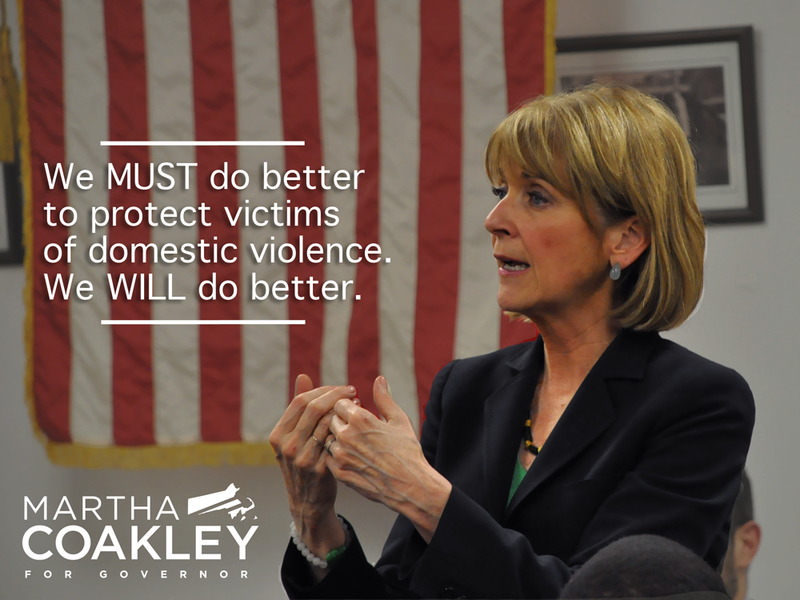 Martha Coakley supports the ballot question to provide earned sick time for every worker in Massachusetts, while Republican Charlie Baker does not. 5. Martha announced a comprehensive proposal that will keep Massachusetts at the forefront of addressing climate change, while growing jobs, creating economic opportunity, and protecting the Commonwealth’s natural resources. 6. Working to prevent child abuse and human trafficking continue to be an area in which Martha stands apartfrom the pack. 7. Planned Parenthood and NARAL Pro Choice endorsed Martha for Governor. 8. The Supreme Court’s buffer zone ruling may have been tough for supporters of safe access to women’s health care, but Martha came back strong with a new proposal for protecting the safety of those who need these clinics. 9. SuperPACs entered a MA Democratic Primary for the first time, and while Martha Coakley signed a People’s Pledge to denounce the use of special interest money, some of her rivals did not, avoiding the issue while SuperPACs aired misleading attack ads. 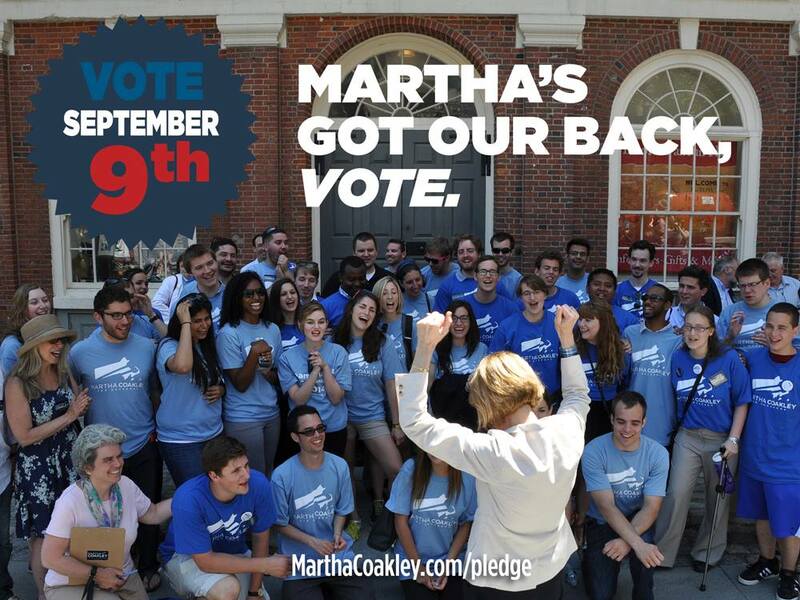 Martha responded quickly, and so did Massachusetts voters. 10. 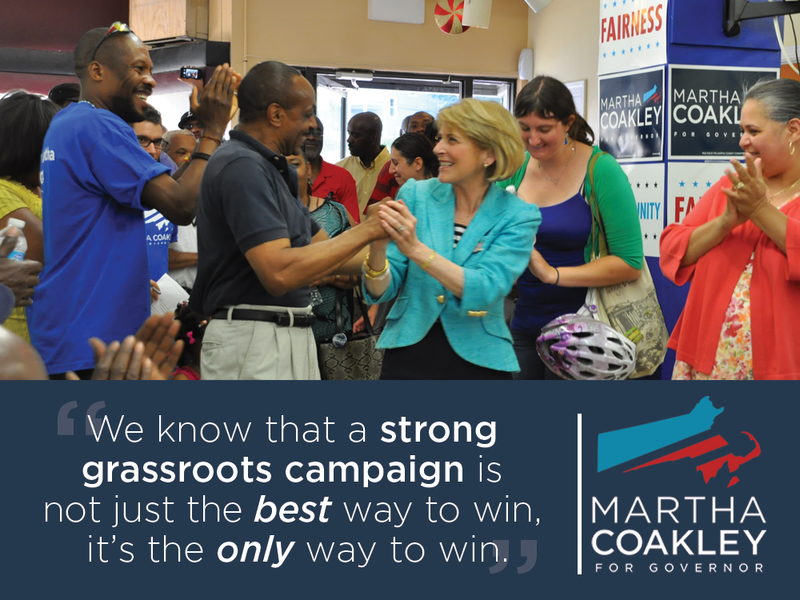 MassEquality endorsed Martha based on her record of forward-looking leadership on building an inclusive Commonwealth. 11. Behavioral Health Care is a very personal issue for Martha. 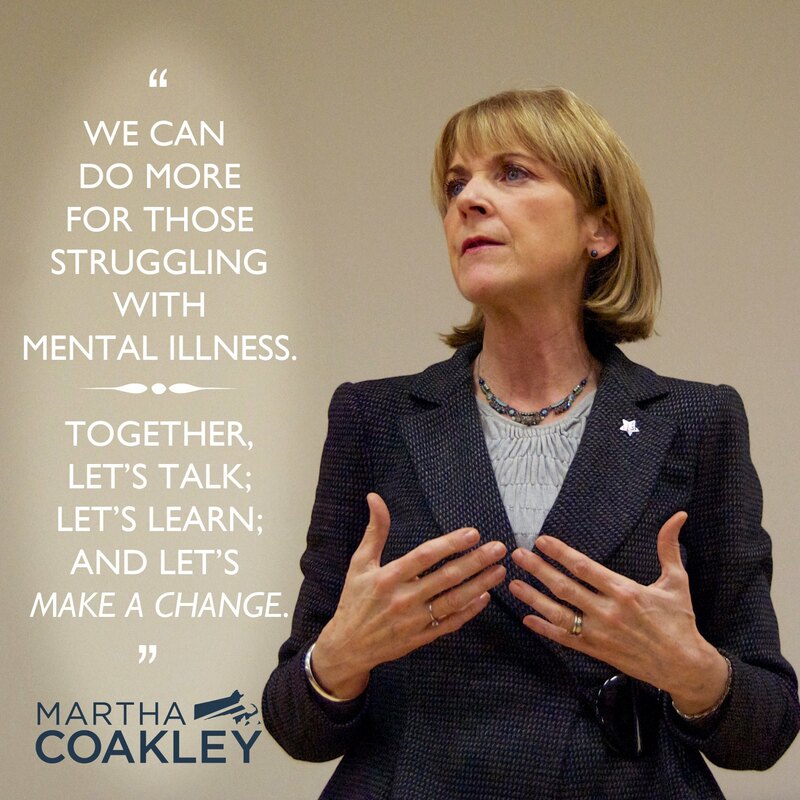 Listen to her story, and read her progressive proposal for improving behavioral health care and expanding access in Massachusetts. Make sure you have a plan to vote on September 9th!